As mothers, we are always on a look out for good and natural products that are beneficial for our babies and children. Colief® specialises in a range of natural products that provide health benefits to babies, young children, and new mommies. If your baby suffers from colic, most of us, mommies may be aware of Colief® Infant Drops which was developed almost 20 years ago and till now, it is one of the most commonly prescribed treatment for colicky symptoms. 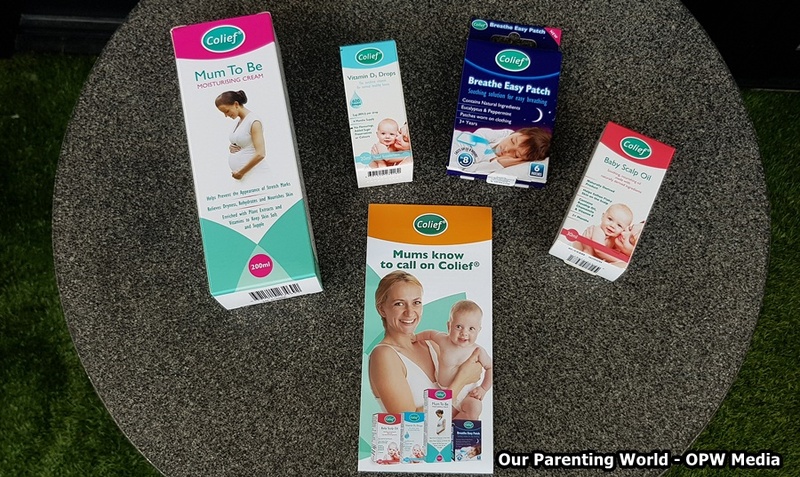 Colief® a trusted band by paediatricians and mommies, has extended its mum and baby care range featuring Colief® Vitamin D Drops, Colief® Baby Scalp Oil and Colief® Mum To Be Moisturising Cream. It has now introduces its latest product, the Colief® Breathe Easy Patch. Colief® Breathe Easy Patch is particularly useful when our child catches a cold especially when someone falls sick in class, the flu virus will spread quickly. Colief® Breathe Easy Patch with gentle and effective decongesting properties is suitable for children aged three and up, it comes with a pack of six patches and each patch can last up to eight hours. The constant coughing and sneezing because of the flu will affect his sleep, just paste the patch on his pajamas/clothings, the comforting, natural blend of eucalyptus, peppermint, lemon and rosemary oils, will help to relieve blocked, runny nose and any discomfort associated with the flu so that he can sleep easily without being interrupted. Colief® Breathe Easy Patch retails for $8 for a pack of six patches. This is a gentle and moisturising cream that you can use as a pre- and post-natal cream. It comes with hypoallergenic formula and packed with pro-vitamin B5, a power natural skin healer and protector as well as the oils of almond, avocado, and grape seed, along with vitamin E and calendula. The cream contains effective and active ingredients that are essential to fight against the appearance of stretch marks, hydrates the skin to prevent dryness and combats against itchiness. Apply and massage the cream twice a day during pregnancy to keep the skin strong, supple and smooth and speed up the skin’s natural healing process after birth. Colief® Mum To Be Moisturising Cream retails for $21.90. 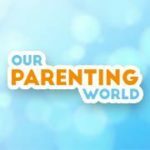 It is common for babies to develop cradle cap in their first years. The Colief® Baby Scalp Oil suitable for infants three months onwards is made with a gentle blend of hydrating rosehip oil, healing chamomile and nourishing vitamin E. It is a welcome relief for babies suffering from dry and flaky patches on the scalp by gently massage the oil onto the scalp. Colief@ Baby Scalp Oil retails for $12.90. It is very important for pregnant mothers to have enough vitamin D which is crucial in helping babies develop strong teeth and bones, as well as a healthy immune system. Sufficient amount of vitamin D will also guard against diseases that come about as a result of vitamin D deficiency, such as childhood bone disorder rickets. Offered in the preferred form of vitamin D3 as this keeps higher levels of the vitamin in the blood for a longer period. A 20ml bottle provides a five-month supply for infants and children, and a four-month supply for pregnant or breastfeeding women. Colief® Vitamin D3 Drops retails for $18.90. Colief® products are available at selected Watson’s stores, watsons.com.sg, BOVE, myhealthscoop.com, redmart.sg, mamahood.com.sg, EAMart.com, glovida.com.sg. Colief® is a range of natural products that provide health benefits to babies, young children and new mums. Experts in baby health, with scientific knowledge and proven expertise in temporary lactose intolerance informed the development of Colief® Infant Drops nearly two decades ago. Today it is the most commonly prescribed treatment for colicky symptoms, and is widely recommended by health visitors. Colief® now offers an extended mum and baby care range, including Colief® Vitamin D Drops, Colief® Baby Scalp Oil and Colief® Mum To Be Moisturising Cream. Whether your baby is distressed, discontent or you need advice on vitamin D supplements, Colief®’s mission is to bring peace of mind to families for generations, leaving you and your baby happy and healthy to celebrate life’s best moments. Colief® products are being distributed by United Italian Trading Corporation (Pte) Ltd in Singapore. United Italian Trading Corporation (UITC) is a reputable pharmaceutical marketing distribution company that has been established in Singapore since 1963, with branch offices in Hong Kong, Macau, and Malaysia. With over 200 employees of different nationalities and specialized areas of expertise, UITC represents international pharmaceutical manufacturers, importing only the finest quality pharmaceutical, medical and health products from around the world while keeping pace with today’s fast changing healthcare environment and consumer needs. Strictly advocating a policy of quality, most of UITC’s products hold “Method of Use” patents; a meticulous effort that has been undertaken to ensure that we provide our customers with only the best products. Adhering to this, UITC therefore does not retail any product that is from questionable manufacturers, or based on unproven resources. UITC is proud to serve and distribute its range of quality products to a wide variety of clients that include numerous hospitals, medical institutions, pharmacies, healthcare stores, Chinese medical practices, as well as Singapore International Airlines and the Singapore Armed Forces. It continually aspires to deliver the highest quality products and services with the aim of promoting a healthier lifestyle within the community, because at UITC, healthy living begins.